Removal ProcedureRemove the ignition coils. 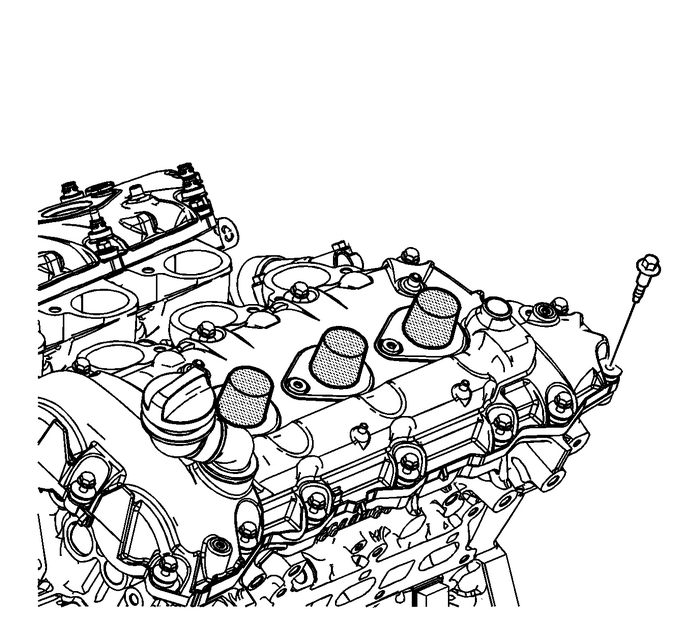 Refer toIgnition Coil Replacement - Bank 2.Disconnect and remove the engine harness from the camshaftcover.Remove the intake manifold. 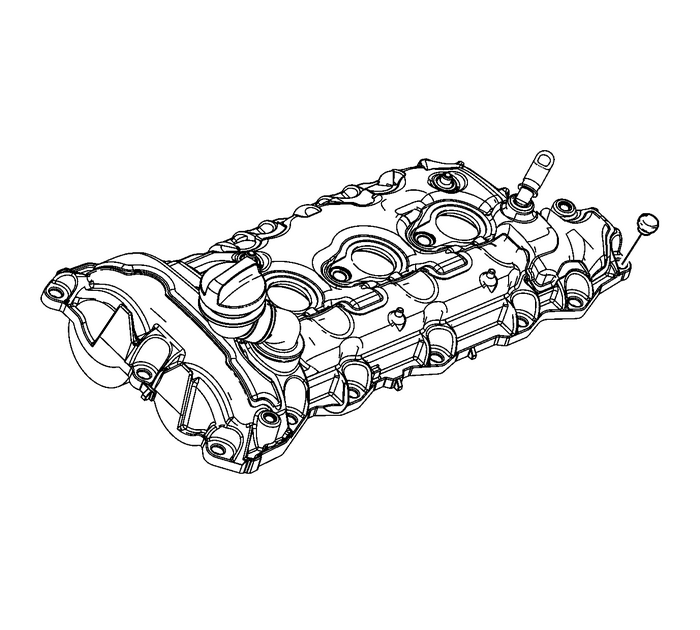 Refer toIntake Manifold Replacement. 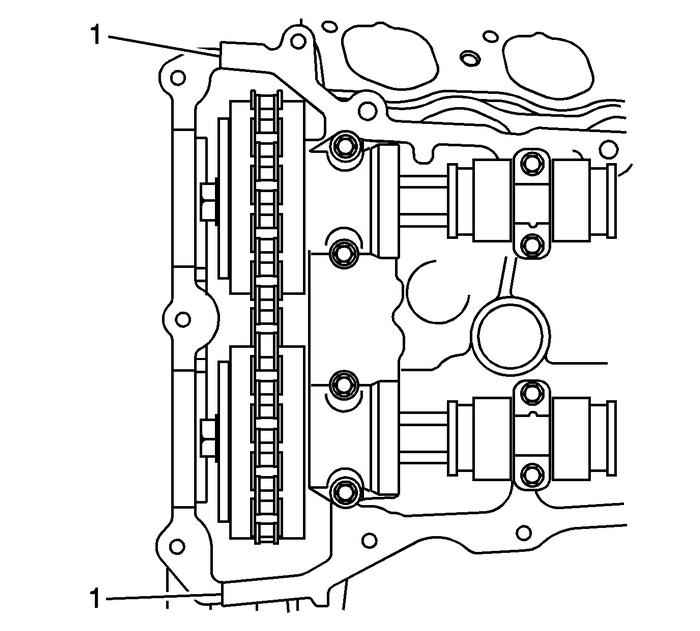 Install new camshaft cover bolt grommets prior to installingthe camshaft cover bolts. 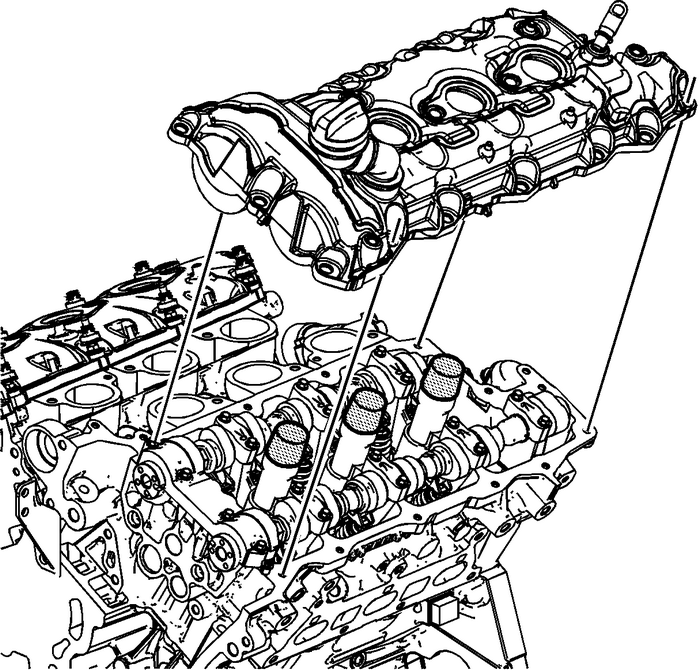 Place a bead 8-mm (0.3150-in) indiameter by 4-mm (0.1575-in) in height of RTVsealant equivalent, on the engine front cover splitlines-(1). 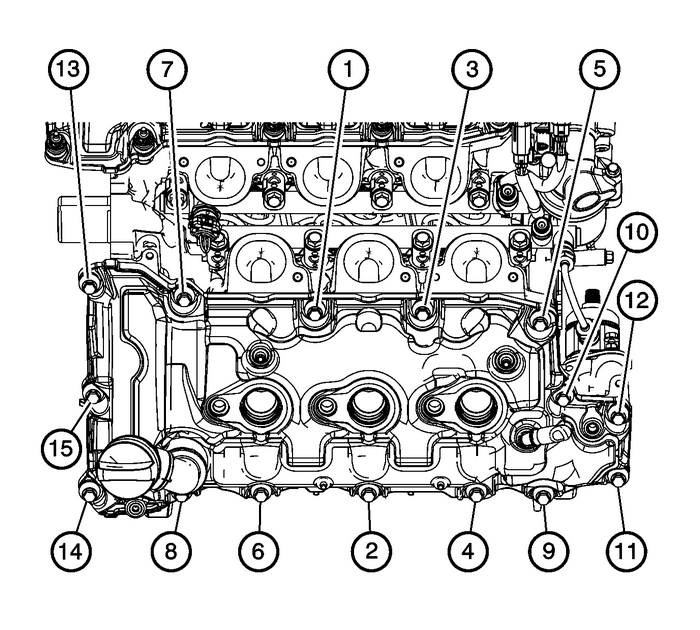 Place the left camshaft cover into position onto the leftcylinder head. Loosely install the left camshaft cover bolts. Tighten the left camshaft cover bolts in the sequence shownto10-Y(89-lb-in).Connect and install the engine harness to the camshaftcover.Install the intake manifold. 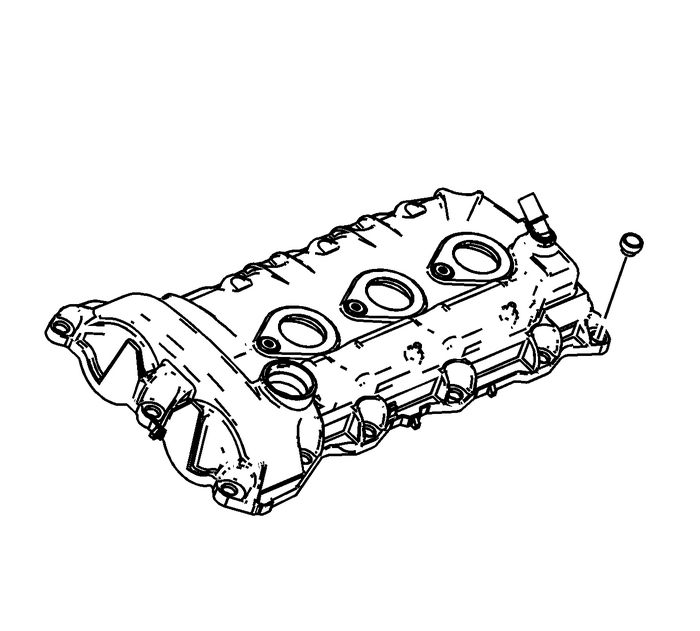 Refer toIntake Manifold Replacement. 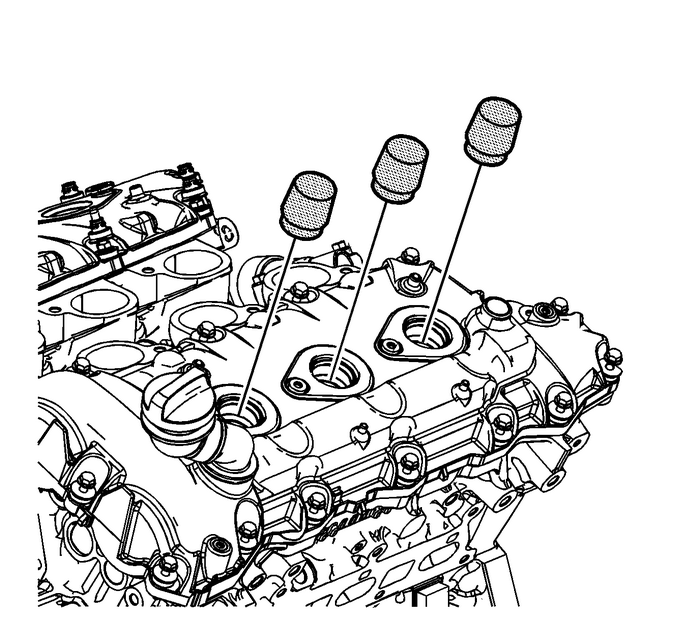 Remove theEN-46101guidefrom the spark plug tubes of the left cylinderhead.Install the ignition coils. Refer toIgnition Coil Replacement - Bank 2.